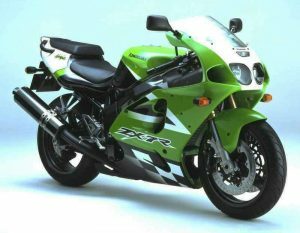 The ZX-7R should have and did do well, but on launch it had a little problem in the shape of the Suzuki GSX-R750 W-T SRAD. The SRAD (the acronym stood for Suzuki Ram Air Direct) was just 179 kilos, where the Kawasaki weighed in at 25 kilos more: both kicked out around the same horsepower – around 110-115 at the back wheel. 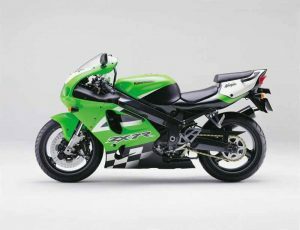 In many ways the Kawasaki shouldn’t have even been close to the SRAD performance-wise, but – initially – both sold well. For the ZX-7R, the extra bulk and mighty-fine front-end evened things up out in the real-world while the SRAD was very much more the manic and demanding 750cc proposition. So, while the SRAD flaps and slaps, the 7R would be a bit more cosseting to the rider on the road. The Kawasaki just didn’t feel quite as slap-happy or crazy. 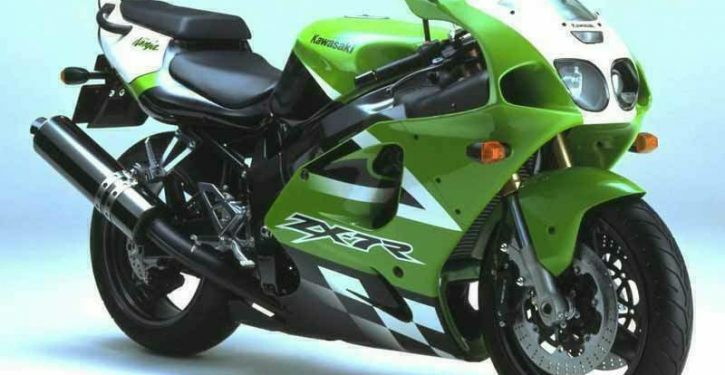 In retrospect it’s a shame Kawasaki didn’t refine the 7R still further – considering it’s ZXR heritage – but that more ‘sensible’ of 750s meant that owners weren’t quite as mad and mental as a GSX-R owner and this means there are some well-looked after ones when it comes to a second-hand deal…That’s not to say the Kawasaki hasn’t attracted its own share of tat (undertrays, headlight covers, mini-indicators etc.) but quality add-ons like a full Akrapovic system adds to the value and character of the machine – but try and get the original system in with the deal! Model variation is… non-existent, although there was a ZX-7RR ‘SP’ homologation version, which had an adjustable head stock and swingarm pivot, flat-slide carbs, close-ratio gearbox and a single seat. While these aren’t up there with OW-01s, RC30s and the like price-wise they’re pretty rare. For – gorgeous to look at and many out there! Against – exhausts rot, some covered with cheap tat! Verdict – a good handling sorted superbike for the road!